When you think of Russia’s drink of choice, you think of vodka. I mean, Russians and vodka go together like Russians and Communism, or Russians and borscht. And yes, technically, vodka is still the king of Russian spirits, with 263.4 of 275 million cases of booze consumed in Russia being vodka. However, the interesting fact of that number is that Russia’s second-most popular spirit is Scottish whiskey. 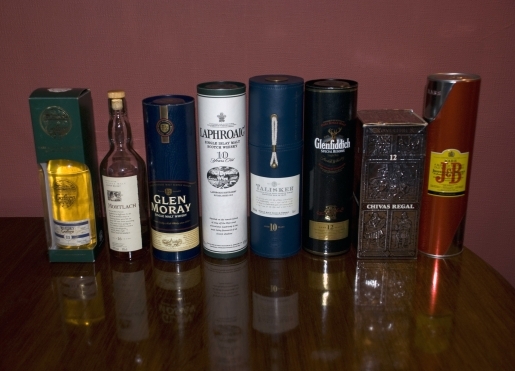 Scottish whiskey is gaining ground on vodka in Russia. Scotch is on the rise in Britain, with scotch and Scottish whiskey exports netting Great Britain $4.5 billion dollars last year. The economy might be down, but scotch exports are up in the UK, and they’re reaping the benefits of a worldwide comeback of brown party liquor. Thank, Mad Men! You’ve made dark spirits popular again! If you can say one thing good about the show, it’s that it’s leading the comeback of flavored spirits with character.